It is not prohibited; it is OK.
Of course, all Quranic legislations and commands (and this include all prohibitions, acts of worship, and orders in the Quran) aim at one general legislative purpose: attaining piety. One should not search for any human reason or logic behind any Quranic command, as one cannot question God. A really pious believer who performs prayers devoutly should invest the whole time of prayers to glorify God and to indulge in the remembrance of Him in every way. Hence, it is OK to glorify God by one's mouth, or in silence within one's heart, between prostrations. The wife gets 1/8 of the money, the daughters get 2/3, and the son the double amount of one daughter, the rest is for the two sisters. As for your question about prostration, it is OK both ways; we have mentioned many times before that piety (leading to concentrating one's full undivided attention) is the element of paramount importance during prayers and within all acts of worship. Likewise, you can recite any verbal supplications to God, provided that piety and the fear of the Lord are maintained. Why People Do Not Read our Archive First? If you have read our archive of writings carefully, you should have known that in our view, Quranic stories are NEVER a source of Islamic legislations at all; besides, it is absolutely prohibited in Quranism to sanctify and revere 'holy' tombs whether they are inside ancient mosques or not. Please reread our writings and search them for possible answers to your questions before you send repeated ones to us. We have written before about cleanliness and purification, and we refer you to our historical research about Sufism and religious life in the Mameluke Era in Egypt for more details about notions of purification and cleanliness that emerged at the time and are still revered now by Sufis and Sunnites. Idioms and proverbs are NEVER part of faith in Islam. Please read our archive of books first before posing repetitive questions that waste our time. In our opinion, yes. Those children, we tend to think, may have this Quranic verse applied to them: "... nor do We ever punish until We have sent a messenger." (17:15). Hence, they will enter Paradise, and they might be the immortal children in Paradise mentioned in the Quran as serving drinks for Paradise dwellers. One may tackle political issues in a brief speech after finishing sermon and prayers, provided that the preacher does not express certain propagandist sentiments so as not to turn mosques into pulpits or forums for political parties. Of course, one can talk then in general about how Quranic verses are against injustice and tyranny, and this can be expressed of course by quoting certain verses during the Friday sermon and reciting them during prayers. The ideal Quranist sermon is only to recite the Quran to make people remember God's commands and take heed of them. Indeed, by just reciting Quranic verses, this will be an excellent sermon for those who listen attentively, reverently, and devoutly in piety. We mean by reciting is to read verses aloud, NOT to sing them (as Sunnites do) as this is indeed mocking them of. We refer you to our article about performing Friday congregational prayers. Of course, all hadiths/narratives, without exceptions, are mere lies and fabrications and never part of the religion of Islam. Authoring such narratives was done mainly because of quasi-religious and political struggles and rivalry. Thus, it is normal to find countless hadiths ascribed to Ali and Fatima in Shiite books, as Shiites deify both historical figures, as you know, whereas Sunnite books mention few hadiths ascribed to them. Aisha has been demonized by Shiites because she participated in the war against Ali, and one can hardly expect any hadiths ascribed to her in Shiite books, whereas Sunnite books ascribe countless hadiths to her. Likewise, Abou Hurayrah was the propagandist agent no. 1 for the Umayyads, and he authored thousands of hadiths in return for money. The Sunnite-Shiite struggle went on within many levels that included fabricating hadiths to refute and contradict hadiths fabricated by people of the other party. It is funny that even some Sunnite scholars authored hadiths to reinforce their own views and refute and debunk those of their Sunnite foes. Series of narrators of the supposed hadiths were fabricated and this is made obvious by contradictions and ascribing hadiths to dead persons who never saw the interlocutors within the series of narrators. Please wait for our book coming soon online about the contradictions of such earthly man-made religions in relations to their hadiths. Why Are We Named ''Quranists''? We have not been the one to create or coin the terms ''Quranism'' and ''Quranists"; indeed, when we have been arrested and imprisoned in Egypt in 1987, along with friends the deniers of hadiths, the case was mentioned in the newspapers as "the case of Quranists", and this appellation is used by the Egyptian State Security Apparatus in the files of that case, and hence, other Egyptian media adopted the appellation that stuck to us. We thought that the name suits our trend or school of thought initiated by us. Ascribing oneself to the Quran is not presumptuous; we repeat that our views represent ONLY brains and minds of each of the Quranists, and NOT any absolute views regarding pondering the Quran. Yet, some people have emerged within cyberspace that adopted the appellation as well but they are not part of us as they deny the five daily prayers and other acts of worship. We hope to be regarded as real Muslims/submitters before the sight of God in this life and on the Day of Resurrection. We and our fellow Quranists call ourselves in our website in Arabic as "Ahl Al-Quran", which means literally "People of the Quran" in the sense that we ponder it and ascribe our views to ourselves and our brains NOT to God, and this is to differentiate us from other names like "People of the Sunna" (i.e., Sunnite Muhammadans) and ''People of the Book'' (i.e., the Quranic terms for Jews + Christians). We tend to think that Quranists are the real Muslims because they follow only the Quran, as God's Word, and not any other books made 'holy' by some people. As for testimony during prayers, you can say (There is no God but Allah) and this is enough, and you can add verses that glorifies and praises God if you like. As for conversion to Islam, this has nothing to do with 2:131; it is enough to say, even alone, the testimony of Islam: (There is no God but Allah). What is important also in Islam is not just uttering words; one must sense with all one's heart, mind, and soul that deep faith in God alone without deifying and/or sanctifying mortals (prophets and others), and doing good deeds daily plus the performance of acts of worship. We have no time for editing anything; you can yourself delete your articles and/or comments or you can edit them from time to time as per your intellectual progress in life. 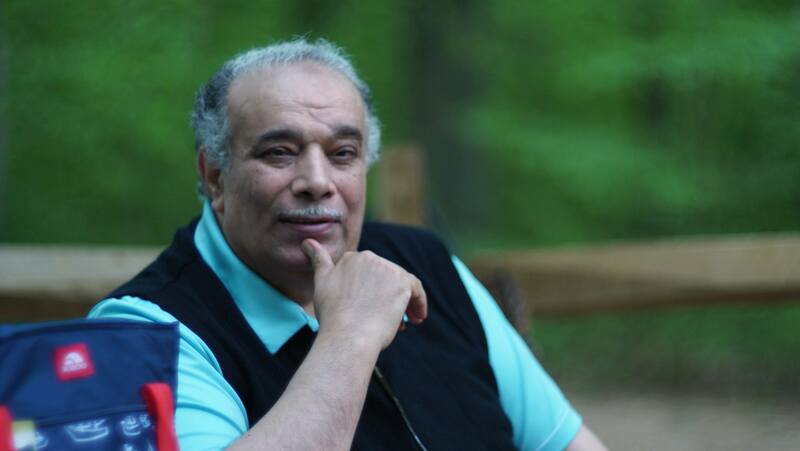 Besides, you should bear in mind that all views expressed in our website, including our own views as a person named Dr. Mansour, reflect our personal and individual ponderings, that might be true or wrong and susceptible to be refuted and commented upon freely. Thank you. Read our "Book of Death"
Please read our book titled "Book of Death", in which we tackle the notion of death in the Quran, and you will find answers to your questions and see that there are no contradictions in the Quranic text at all about death or any other topic. May God bless and reward you; we implore the Lord to unite all of us, Quranists, in Paradise. You are welcome to our website as a writer whom we hope will add great articles to our Quranism website archive of articles. Of course, you can inherit your grandparents, and as for the other question, any money you distribute among your offspring has nothing to do with written wills of inheritance, and such wills will be executed only after one's death and not beforehand. Upon one's death, angels of death that take one's soul tell one about the fate waiting for one after the Day of Resurrection: Hell or Paradise. Those who are allies of God are brought glad tidings of Paradise, whereas the allies of Satan are brought bad news of Hell. There is no medial or in-between position in the Afterlife after the Day of Judgment. One's book of deeds are shut forever upon death, and one's fate is decided as per one's faith and deeds. The worst of people are those who commit many injustices against others and against God. one type of such sinners are clergymen who repel people away from the Quran and distort and twist all religious notions to misguide people because clergy seek money and power by pleasing tyrants. Hence, clergymen are allies of Satan like tyrannical rulers. Rulers who oppress and torture people and steal public money are sinners, and they prevent others from questioning them, as if they were deities. God is the Only One not to be asked about what He does. A worst type of tyrants is the ones who massacre the innocent under banners of Wahabi jihad. It is legitimate to reach power and authority within democratic elections and to serve one's people, as we see within Western societies. This verse asserts the Oneness of God and that He has no progeny at all, and God here orders Prophet Muhammad to say that there is no 'son' to God to be worshipped at all. This verse is explained further if you ponder the Quranic Chapter 112 that contains only 4 verses as follows: "Say, "He is God, the One. God, the Absolute. He begets not, nor was He begotten. And there is nothing comparable to Him."" (112:1-4). Please contemplate the following verses as well: "We sent down to you the Book with the truth, so serve God, devoting your religion to Him. Is not to God that sincere faith is due? As for those who take allies besides Him, "We only worship them that they may bring us nearer to God." God will judge between them regarding their differences. God does not guide the lying disbelievers. If God wanted to have a son, He could have selected from His creation at will. Glory be to Him. He is God, the One, the Prevailing." (39:2-4); "God has never begotten a son, nor is there any god besides Him. Otherwise, each god would have taken away what it has created, and some of them would have gained supremacy over others. Glory be to God, far beyond what they describe. The Knower of the hidden and the manifest. He is exalted, far above what they associate." (23:91-92). This is not prohibited; prohibition in real Islam is for certain items mentioned in the Quran, and one cannot prohibit something not mentioned as such in the Quranic text. Hence, there is no Quranic verse prohibiting anyone from buying and selling books of disbelief and polytheism. Islam knows no confiscation of books; besides, there are those who buy Sunnite books to refute them (using the Quran and using logic) after studying them, thus proving how authors of the Sunnite religion hate Islam and are its arch0enemies. Books in general are means of data and knowledge about anything, and keeping, selling, or buying them are no sins at all, as what is really sinful and polytheistic is to believe such nonsense in them as if it were part of the divine religion. The tool (books) are not to blame, but the user is. For instance, a knife is a good tool to cut fruits, vegetables,, etc. to cook them, but criminals use knives to kill. No one is to ban the use of knives because of that, we suppose. Likewise, you are not to prevent, ban, or confiscate books containing notions that spread the disbelief in the Quran, as there are those who use such books to propagate disbelief and those who use them to refute Sunnite religion by analyzing such books and comparing them to the Quranic verses as criteria. Hence, selling and buying books are never sinful prohibited acts in themselves. Thank you for your question. Burning books will never stop spreading false notions or fabricated narratives and hadiths; this is like demolishing mausoleums to force people not to worship tombs, and yet polytheists will go one worshipping tombs and built thousands of other mausoleums. Instead of burning books, ideas inside them are to be refuted using the Quran and one's logic and brain so that people would see the Truth and discard such corrupt ideas. God tells us beforehand that He allows bad narratives to spread as a test to people: "Likewise, We have assigned for every prophet an enemy-human and jinn devils-inspiring one another with fancy words in order to deceive. But had your Lord willed, they would not have done it. So leave them to their fabrications." (6:112). You are to leave people and their myths in peace and stay away from them, as long as you have shown them the Truth (Quranism) and they have rejected it; there is no confiscation or burning of books in Islam. You can use your books to analyze and refute their notions using the Quran or to sell them to get some money. Better still, of you have no ability, time, or desire to write Quranist articles, give such books to one of your fellow Quranists who can write articles to refute them on our website, and hence, you will see how your books are beneficial in the intellectual endeavors or peaceful jihad of Quranists for God's sake.